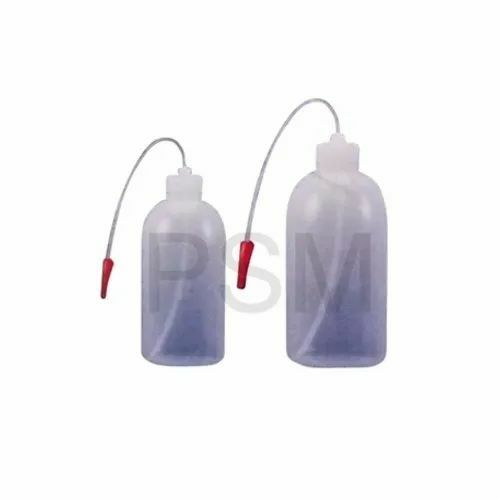 PSM Wash Bottles are made of low density polyethylene which gives these bottles a translucent & unbreakable character. Solutions can be poured easily by squeezing the bottle lightly. The cap is fitted with a flexible polyethylene delivery tube which can be aimed wherever required. Established in the year 1996 at Uttar Pradesh, India. We Pal Surgical And Medical are Sole Proprietorship based firm, involved as the Manufacturer, Exporter of Anaesthesia Products, Dental Equipments, Diagnostic Instrument and much more. All our products are getting widely acclaimed among the large clientele for their exclusive designs, superior quality, and reliability. Apart from this, our ability to maintain timelines as well as quality in the assortment, providing cost-effective solutions and assurance to make timely shipment of the orders placed by customers have assisted us positioning our name in the list of top-notch companies of the industry.